Tanzania athletes continue to disappoint on the global stage. At the World Athletics Championship in Beijing, the country’s contingent of marathon runners finished 12th, 27th and 42nd with one not finishing the course. The post-mortem in the Tanzanian media again points the finger of blame at inadequate preparation for global competition, rather than the quality of the athletes per se. Headlines like “Tanzania – Stop This Mess in Athletics Once and For All, Please” (Daily News, 28/8/15) sums up the frustration in the country, especially when neighbours such as Kenya and Uganda appear to be thriving or at least on the upward curve of improvement. Taifa Stars, the national mens’ team, are already out of the FIFA World Cup 2018, after a painful 9-2 aggregate defeat over 2 legs to the “Desert Foxes” of Algeria in the qualifying round. Slightly better news in terms of qualification towards the 2017 Africa Cup of Nations; the team currently hold third spot in Group G behind group leaders Eqypt, but interim coach Charles Boniface Mkwasa will be encouraged by his team’s performance against Nigeria who held the Super Eagles to a 0-0 draw in Dar in September. 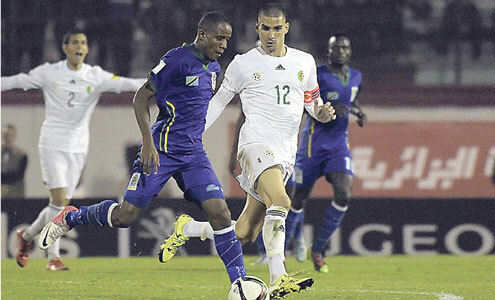 The next game is away against Chad in March 2016.